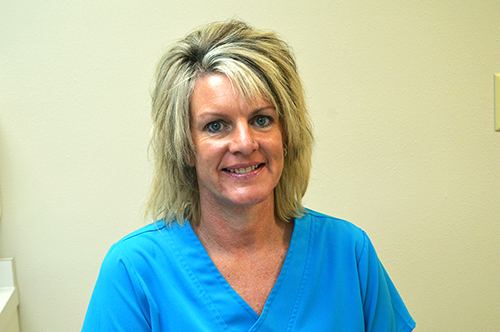 Trish is a 1993 graduate of Hastings CCC dental assisting program. She was born and raised in Grand Island Nebraska. She has 2 children Morgan and Brady. She enjoys going to concerts, being outdoors, and spending time with family and friends. Sonja is our Financial Coordinator. 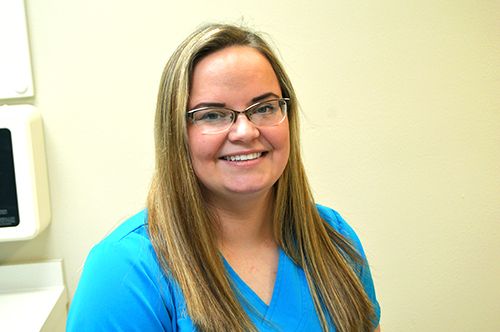 She received her dental assisting degree from Western Iowa Tech in 2008. She was born and raised in Blencoe, Iowa and now lives on an acreage with her husband Ted, their two children and two dogs. 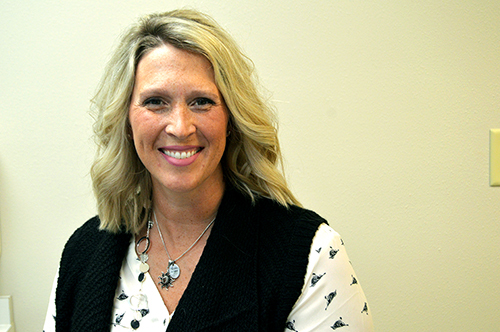 Sonja loves spending time with family, fishing, farming, enjoying the outdoors. 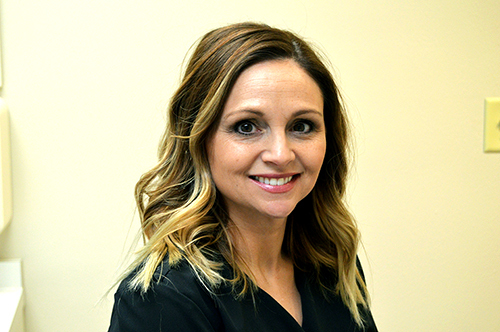 is a dental hygienist originally from Clare, Iowa. She graduated from Hawkeye Technical College in Waterloo, Iowa. Carol has been with the office since 1992. she and her husband Bryan have three children. The family and their dogs, Rockie and Kaicie, keep busy on the 60 acre farm raising cows, chickens, turkeys and ducks. When not farming, Carol enjoys gardening, canning, camping, biking, swimming or anything outdoors. Carol has attended the Iowa State Fair every year since 1978. Is a dental assistant. She was raised in Sergeant Bluff and graduated from SB-L in 2010. Shortly after high school she went to Iowa School of Beauty to obtain a degree in cosmetology. In 2012 she returned to college to become a dental assistant. When she isn’t at work she is spending time with her son, Owen. They enjoy going to see new movies, camping, and traveling. is a dental assistant. She was born in Jefferson, South Dakota and raised in Sioux City, Iowa. She received her dental training in the U.S. Army after high school. 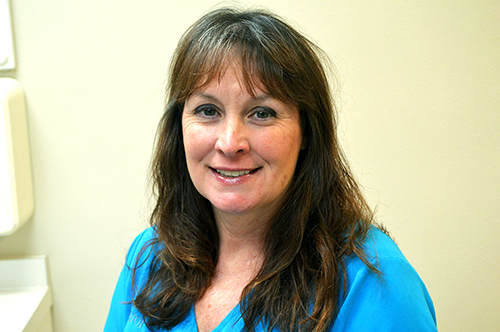 Alice has been with our office since Dr. Bokemper started in 1984, but she has been assisting for over 30 years. Alice spends her time bowling and with her three children and grandchildren. 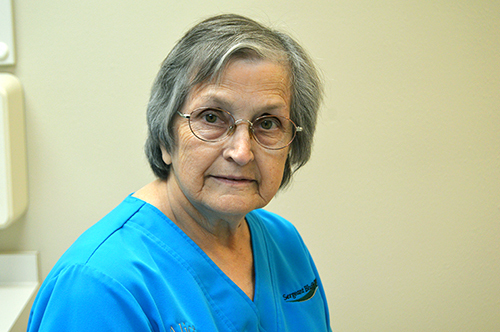 Alice has volunteered for the Iowa Mission of Mercy multiple times and enjoys helping others with their dental needs. 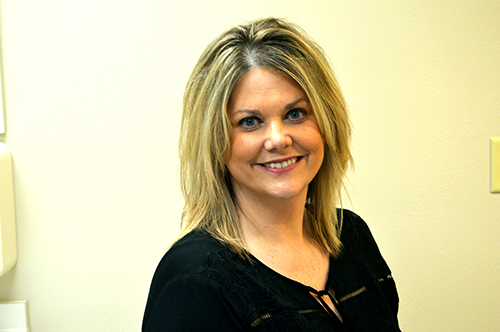 Angie serves as our office coordinator. 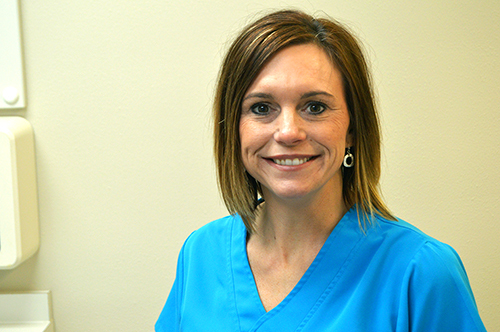 She is originally from Cushing, Iowa and began her dental career with the office in 1986. In her free time, she enjoys spending time with her husband Tony and three children. A little known fact about Angie is that she shares her birthday with her son! is 2010 graduate of the Dental Assisting program at Western Iowa Tech. She was born and raised in Sioux City. She and her husband have one daughter. They love spending time outdoors and look forward to their yearly trip to Lake of the Ozarks with their family. is a 2004 graduate of the University of South Dakota hygiene program. She is originally from Ponca, Nebraska. She and her husband, Andy, have four boys and live on an acreage outside of Moville, Iowa. Sarah enjoys spending time with family and friends and chasing her four boys. 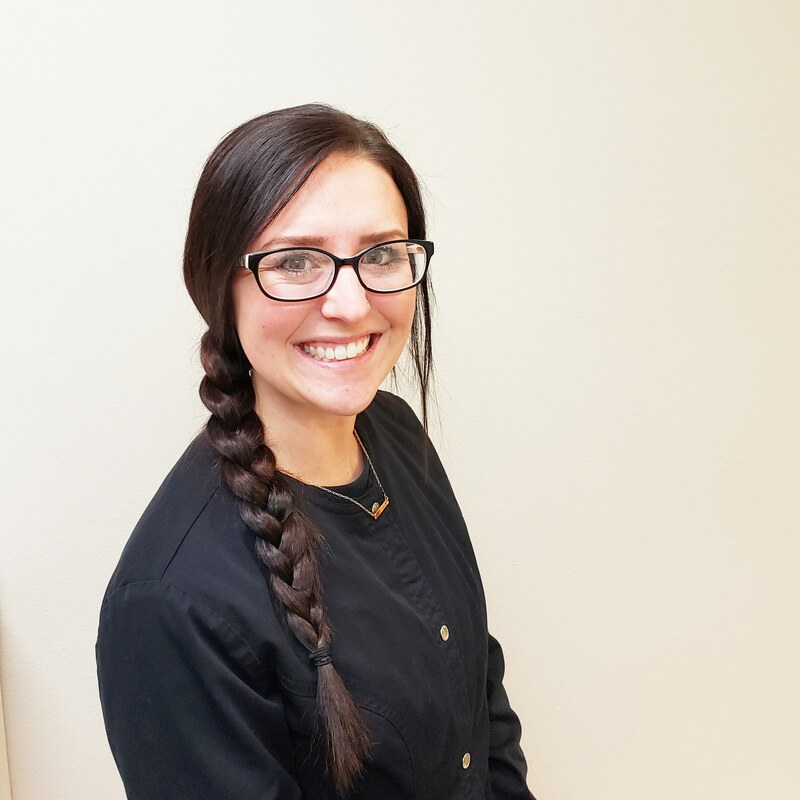 Sarah’s fun fact is that her oldest son was born on the day of her clinical boards, so she had to take them three months later in Minneapolis, Minnesota.